I'm not getting my password or other emails from MenNation.com! Note: If you recently made a change to your email address, MenNation.com will verify the new address by changing your password and sending the new password to the new email address. Your account has been deleted during our review process. Please check your email inbox for a notice regarding this matter. You've updated your account and have a new password. Please check your email inbox for your new password and try to log-in again. Please clear your browsers cache, and make sure you aren't using a Bookmark or Hotlist link. Most email providers now routinely employ anti-spam software. Unfortunately, because of the number of emails MenNation.com sends out, your email provider might be classifying some MenNation.com messages as spam. To make sure that you receive email from other MenNation.com members, as well as announcements and updates, please select your email provider from the list below and follow the instructions provided. Occasionally, you might receive a large amount of email from MenNation.com in one day. Even if you don't want to read all the emails at once, please do not report any email from MenNation.com as junk or spam. If you do that, it's likely that all your future MenNation.com emails will be labeled as spam, and you won't receive them. 1. Do not click the "Junk" button when you are viewing any MenNation.com email. Marking one MenNation.com email as junk will cause all other emails from MenNation.com to be automatically delivered to your Junk Email folder and deleted. 2. Check your Junk Email folder. If you find an email from MenNation.com in your Junk Email folder, open the email and click the "Not Junk" button. a) Choose "Options" at the upper right of your inbox screen. b) Choose the first mail option, "Junk E-Mail Protection." c) Choose the link, "Safe List." 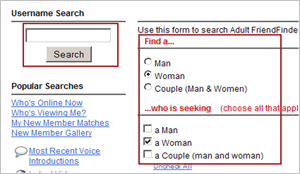 d) Type "adultfriendfinder.com" in the address box. e) Click the "Add" button. f ) Click "OK" when the address you entered is in the Safe List box. 1. Do not click the "Spam" button when you are viewing any MenNation.com email. Marking one MenNation.com email as spam may prevent you from getting any future MenNation.com emails.If you click the "Spam" button by mistake, find the MenNation.com email in your Spam Folder and click the "Not Spam" button at the top of the Spam Folder." a) From your Inbox, select "Add" from the "Addresses" drop-down menu. Or, click the "Add Contact" button. 1. Do not click the "Report Spam" button when you are viewing any MenNation.com email. Reporting one MenNation.com email as spam may prevent you from getting any future MenNation.com emails. 2. If you have clicked the "Report Spam" button by mistake, find the MenNation.com email in your Spam Folder and click the "This is Not Spam" button at the top of the Spam Folder. a) In your AOL Mailbox, click "Addresses" at the top of the page. b) Click "New" and select "New Contact" from the drop-down menu. c) Enter the MenNation.com email addresses into the Email 1 and Email 2 fields as shown below. d) Click the "Save" button at the bottom of the page. a) Click "Settings" at the upper right corner of the page. b) Choose "Spam Controls" from the list, then click the "Control From Whom I Get Email" button. 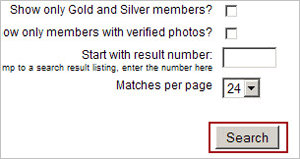 c) You can select "Allow mail only from people I know," since you've added MenNation.com to your address book. Note: If you choose "Allow mail only from senders on my Custom Senders List," be sure to click on the Custom Senders List link and add the MenNation.com email addresses you entered into your Address Book However, if you choose the "Block mail from all senders on my Custom Senders List," make sure NO MenNation.com email addresses are on the list. If you choose the "Allow mail only from AOL and AIM members" or the "Block mail from all senders" options, you will NOT receive your MenNation.com email. 1. In the "Quick Contacts" section on the left side, click "Add Contact." In the resulting text box, type each of the following email addresses and click the "Save" button after each entry. 2. It's a good idea to routinely check your spam, junk and blocked email folders to see if any MenNation.com messages were routed there by mistake. 1. Choose the "Junk E-mail" link at the bottom left of your inbox. 2. Select the third Guard Settings link: "Safe List." 4. Click the "Save" button. 1. From the Tools menu, select "Options." 2. At the "Preferences" tab, under E-mail, click "Junk E-mail." 3. 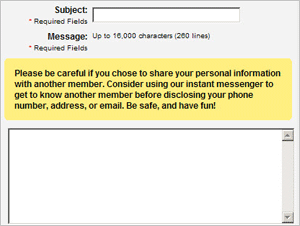 Click the "Safe Senders" or "Safe Recipients" tab. 6. Click the "OK" button.